Does your kid love to snowboard?! Extend your family time in the sun while rockin' a cool kids trucker cap. 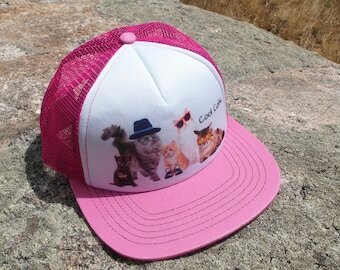 The flat wide brim on this youth trucker hat helps shade your child's face, while the mesh keeps their head cool. - cool, fun art design/graphic on the front. Check out all our kid approved designs and fun colors! Love your hats. Bought them for my 11 month old and his big ol head. Very cute! 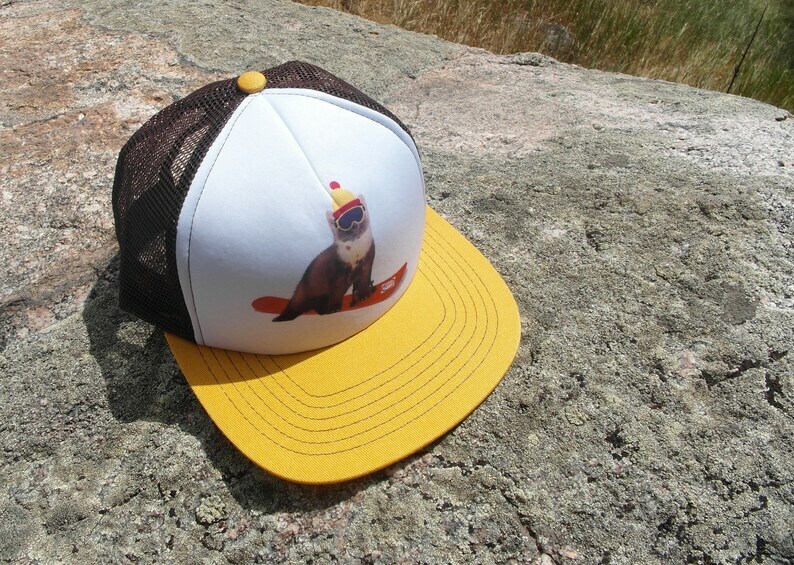 Snowboard Weasel- Kids Trucker Hat. Inspired by youth and an outdoor lifestyle! Perfect hat for my shark obsessed nephew. He loves it!!! 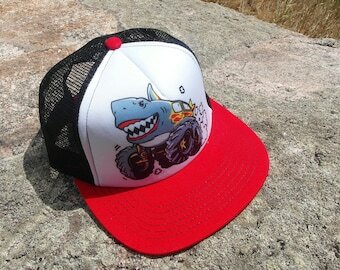 Sharkie the Monster Truck- Kids Trucker Hat. 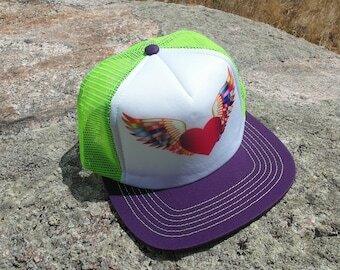 Inspired by Youth and Designed in Colorado! We love this hat! My kiddo is guaranteed to get a compliment from a stranger every time he wears it out. Thanks! 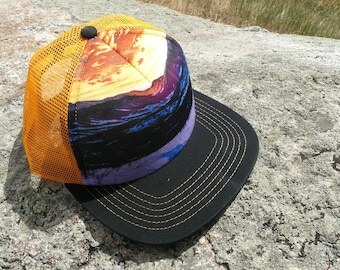 Mountain Bike Monster- Kids Trucker Hat. Inspired by Youth and Designed in Colorado! 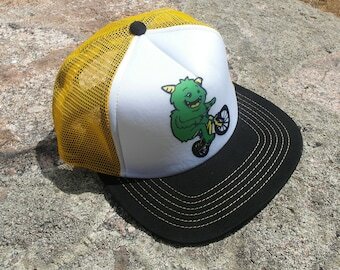 Mountain Bike Monster- Kids Trucker Hat. Inspired by youth and an outdoor lifestyle!